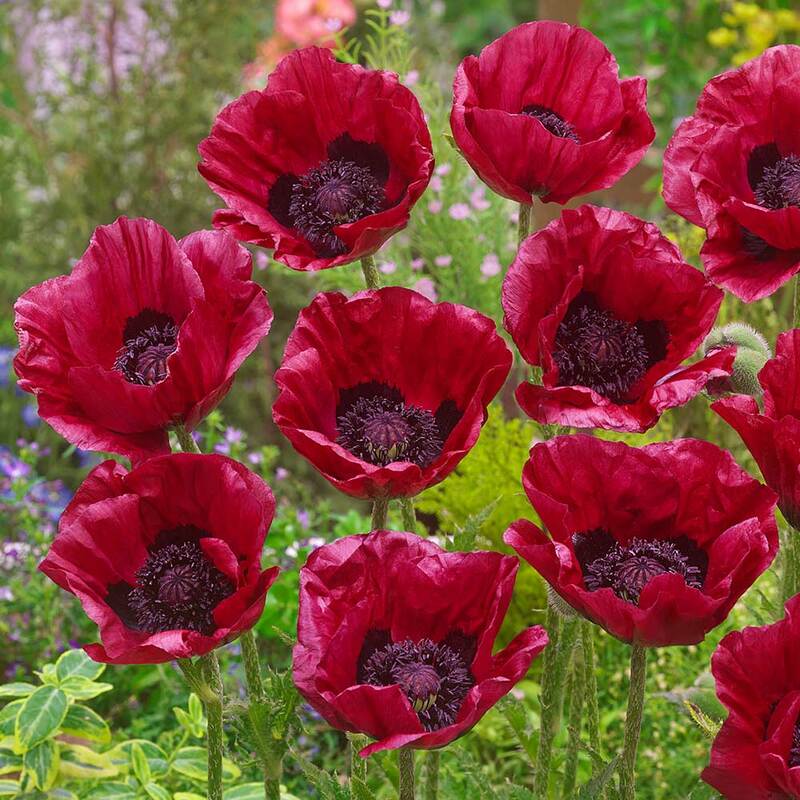 Add some dramatic colour to the garden with this stunning collection of new Oriental Poppies. 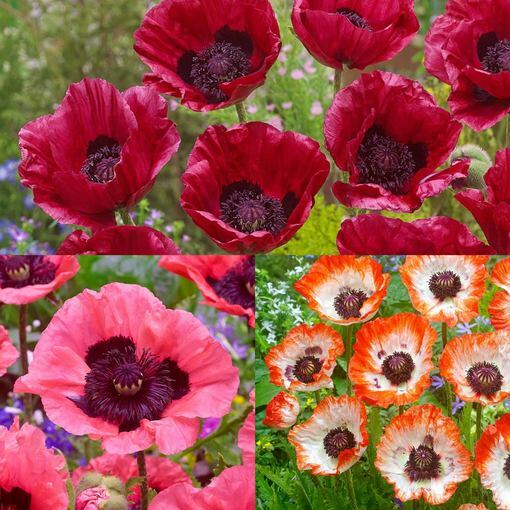 These three varieties have been chosen for their outstanding colour. 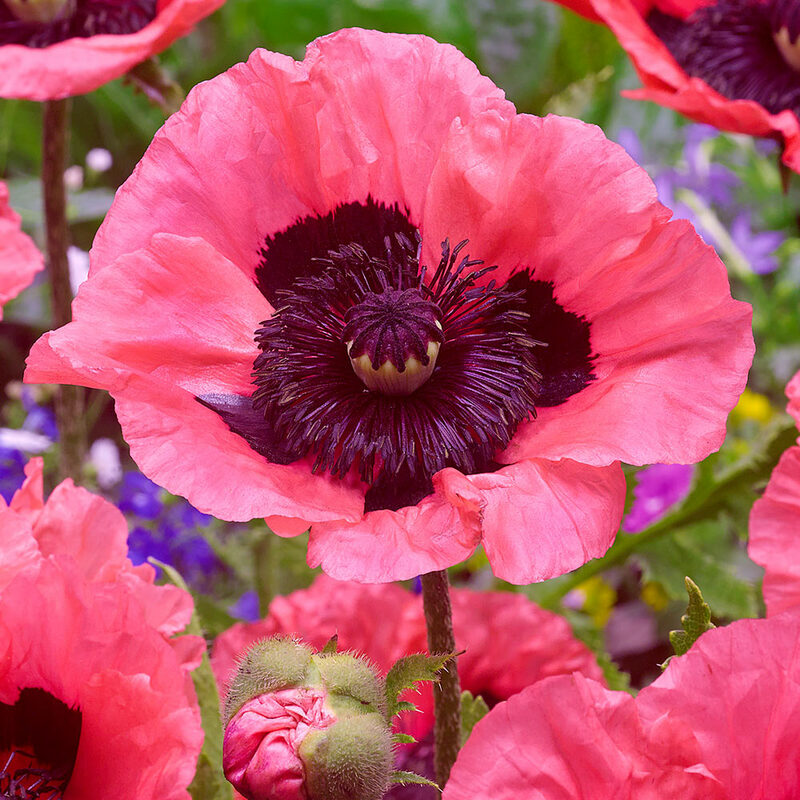 In three show-stopping shades that will add style and sophistication to your borders all summer. Flowers May to July. Height 60-90cm. You will recieve one each of Pinnacle (white/orange), Marlene (burgundy red) and Raspberry Queen (pink/purple). 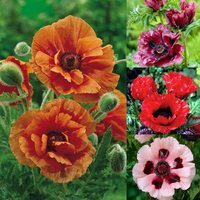 Supplied as 9cm pot plants. Plant in prepared soil, well dug and containing rotted manure. They are suitable for sunny or lightly shaded locations. Very few perennials will add the character and colour of the flowering poppy. They are perfect for borders or rock displays, and very effective as cut flowers. 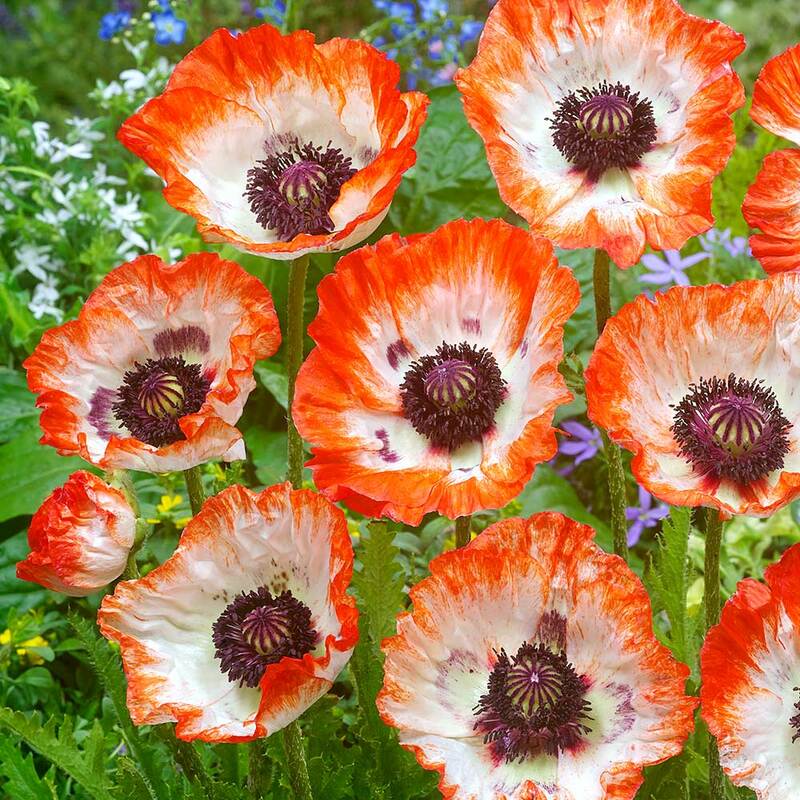 They are very easy to grow and very attractive.